Welcome, I'm so glad that you have reached out for help! 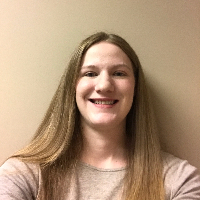 My name is Lindsay, and I'm a Licensed Clinical Social Worker in Illinois and a Licensed Independent Social Worker in Iowa. Currently, I'm a therapist that works for a local community mental health center where I provide individual, family, and couple's counseling. Most clients I work with have been diagnosed with depression, anxiety, post-traumatic stress disorder, or bipolar disorder. I have extensive training in trauma, both with trauma occurring in childhood, such as physical, sexual, or emotional abuse, and adult trauma, such as sexual assault or domestic violence. My approach in therapy is client centered, open, and non-judgmental. I use cognitive behavioral, rational emotive, strength-based and trauma informed therapy. Clients identify their goals and desired outcomes, and I'm there to assist in the therapeutic process. Each client I work with is met with understanding and empathy. Lindsay has really helped me walk through some self discovery in the past few weeks. I rated her an eight out of 10 as to whether or not I would recommend her because I realize not every counselor fits every person so I braided her based on the fact that I think she’s highly strong but I don’t know if she would fit everybody that would need assistance. But for me she’s 10 out of 10. Lindsay is awesome, I’ve recommended BetterHelp to a ton of people, this is hands down the best counseling experience I’ve ever had. Although I’m a difficult individual to understand, Lindsay makes great efforts in at least attempting to understand. Wether she’s able to help me is irrelevant to me. She putting forth effort and that’s all I or anyone seeking help and guidance can ask for. Best therapy experience I have had. I feel listened to and she has helped me to see I have the ability and tools to grow myself for the better. Lindsay is so kind, this has easily been the best counseling experience I've ever had. I have left and come back to Betterhelp several times, and I always come back to Lindsay. She is very responsive, she offers wonderful advice, and I feel like she really takes what I say to heart. She is wonderful to talk to through messages as well as live sessions and if I was in a crisis, even on weekends, she responded and helped me through. She is great and would recommend her to anyone! Lindsay is very responsive and addresses my concerns with compassion and insight. Lindsay has been extremely helpful in learning new coping solutions through various situations. In addition, she is very friendly and understanding. I look forward to continuing to run things by her and getting feedback from her. I highly recommend her to anyone seeking counseling and support. Excellent counselor. Listens, and offers ways to cope. Asks great questions to figure things out. Very compassionate. I will definitely request her again, if I need services again. Lindsay definitely helped me. Thank you. I have only had one live session with Lindsay so far, but I really felt like I got a lot out of that one session! She challenged me with tough questions and sent me a worksheet to make me really spell out some of my concerns. I am excited to work with her more. Would you like to write a review for Lindsay DeMarlie? We'd appreciate if you can spend a couple of minutes to write a short review for Lindsay DeMarlie (LISW, LCSW). This review would be shared with Lindsay DeMarlie. It may also be posted in our website or in Lindsay DeMarlie's profile but it would be anonymous and your identity would be kept completely confidential.